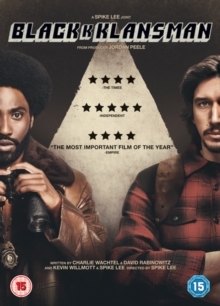 John David Washington and Adam Driver star in this US comedy drama co-written and directed by Spike Lee. 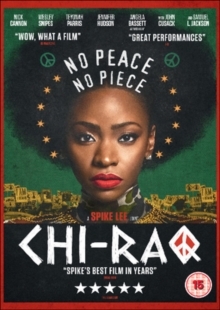 Set in the 1970s, the film follows Ron Stallworth (Washington), the first African American police officer in Colorado Springs, as he attempts to go undercover and infiltrate the local chapter of the Ku Klux Klan. 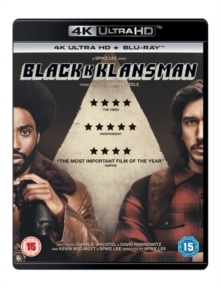 Joining forces with his white partner Flip Zimmerman (Driver), who agrees to play the role of Ron at Klan events, Ron makes contact with Klan leader David Duke (Topher Grace) and quickly becomes integrated into the organisation. However, as Ron and Flip delve deeper into the Klan's workings, they soon make some shocking discoveries which could lead to deadly consequences.